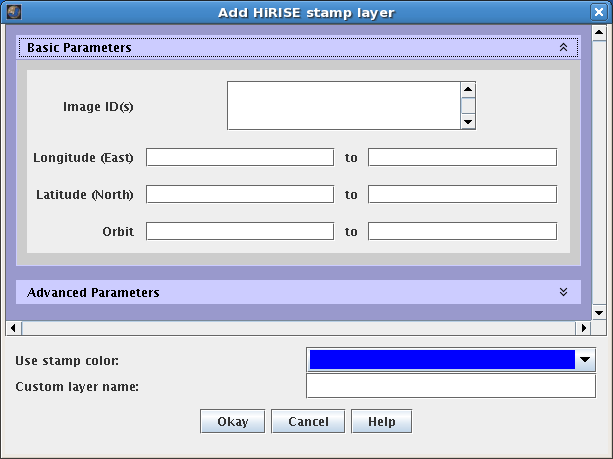 Open the Stamp Layer: Chose "Add New Layer" -> "Imagery" -> Make sure that "Image Sets" is selected and click "HiRISE" OR Chose "Add New Layer" -> "Instrument" -> "HiRISE"
TTT is a four-digit zero-padded chronologically ordered target number within an orbit. 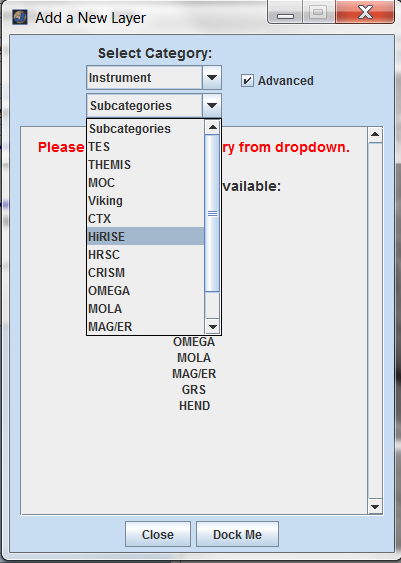 COLOR is either "RED" or "COLOR" based on the filters used. 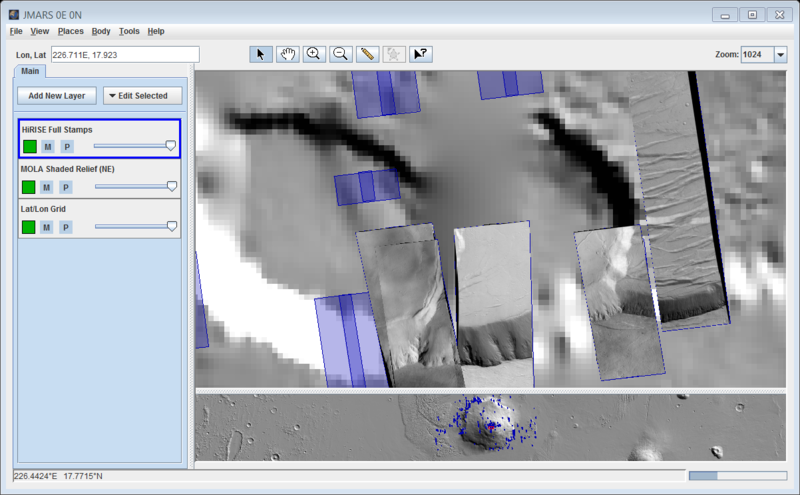 MRO orbit during which the image was acquired. The MRO/HiRISE mission has been divided into the following phase. 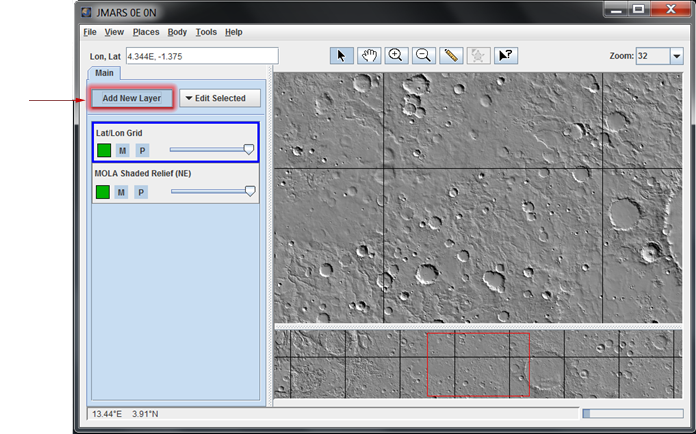 Spatial resolution (in pixels per meter) at the center of the image. Measured from the center of the image, this is the angle between the HiRISE and a "normal" drawn perpendicular to the planet's surface. In most cases, the HiRISE is looking "straight down" and the emission angle is thus close to 0°. This is the angle between the sun, the surface, and the HiRISE at the time the picture was obtained. Designates which images are part of a stereo pair. 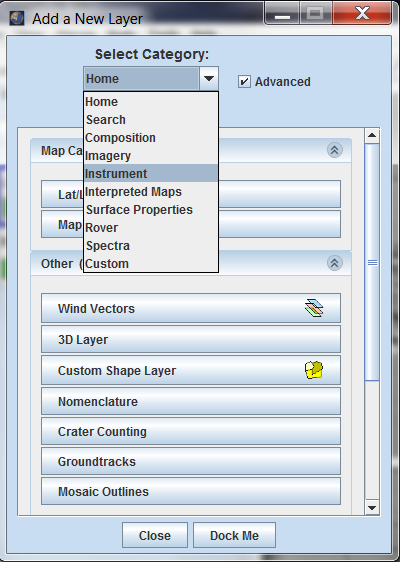 The HiRISE Stamp Layer's functions are identical to the functions of the Stamp Layer and are explained in detail on the Stamp Layer page.